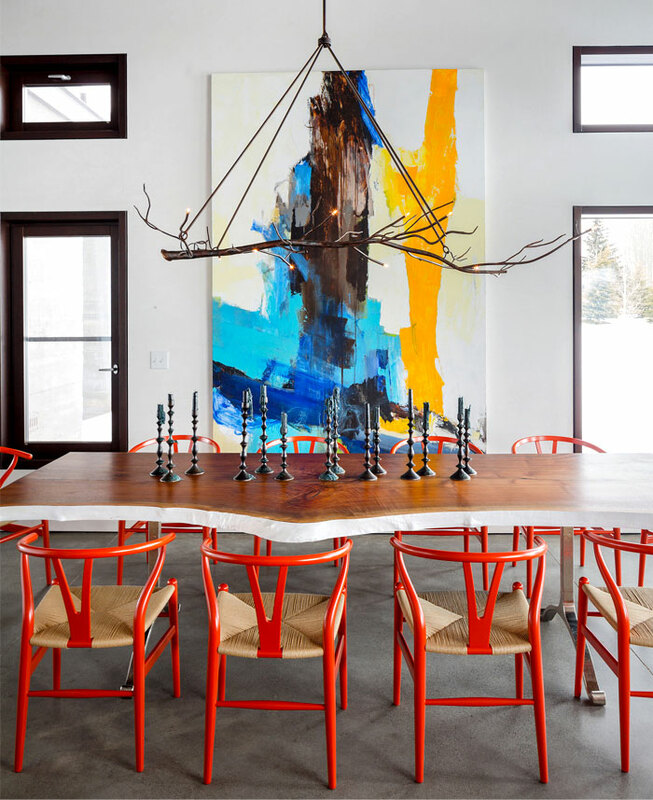 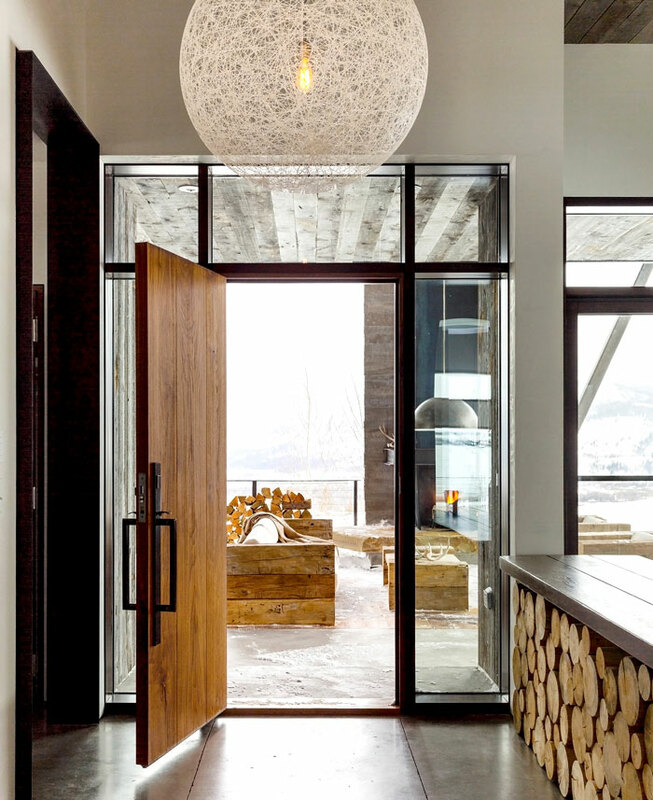 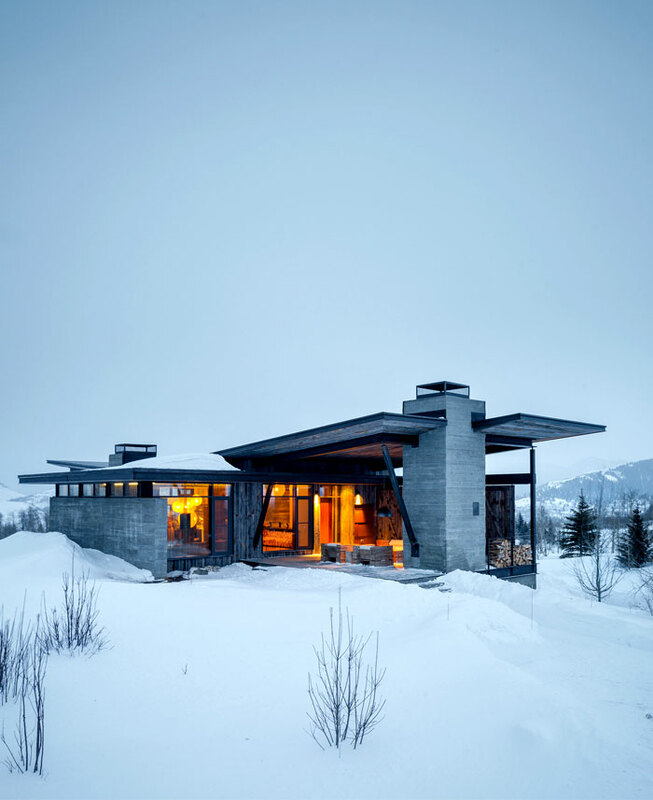 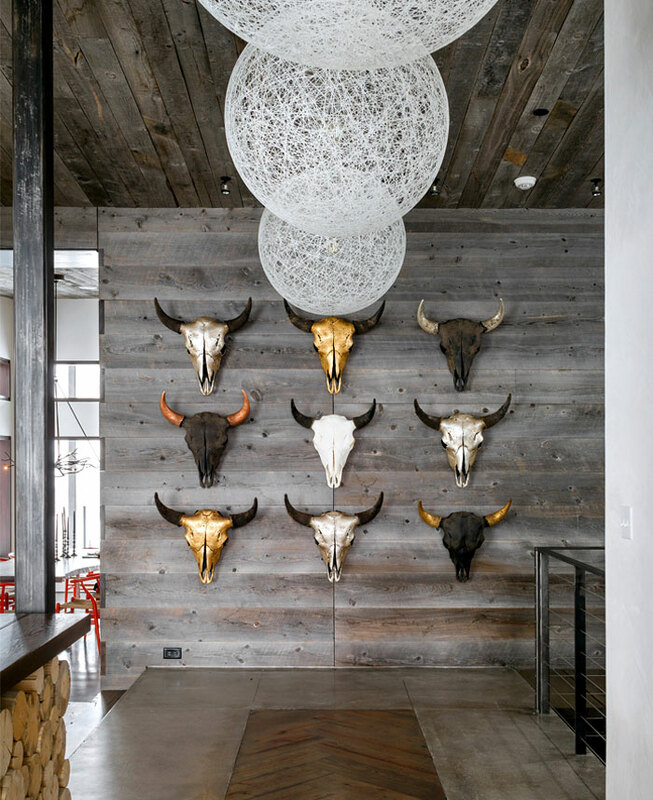 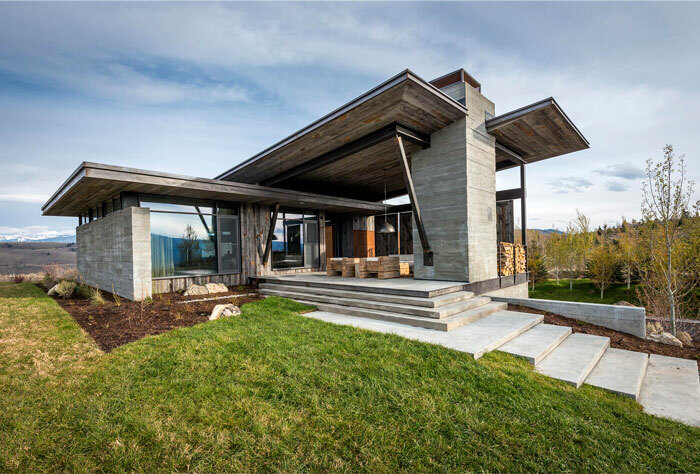 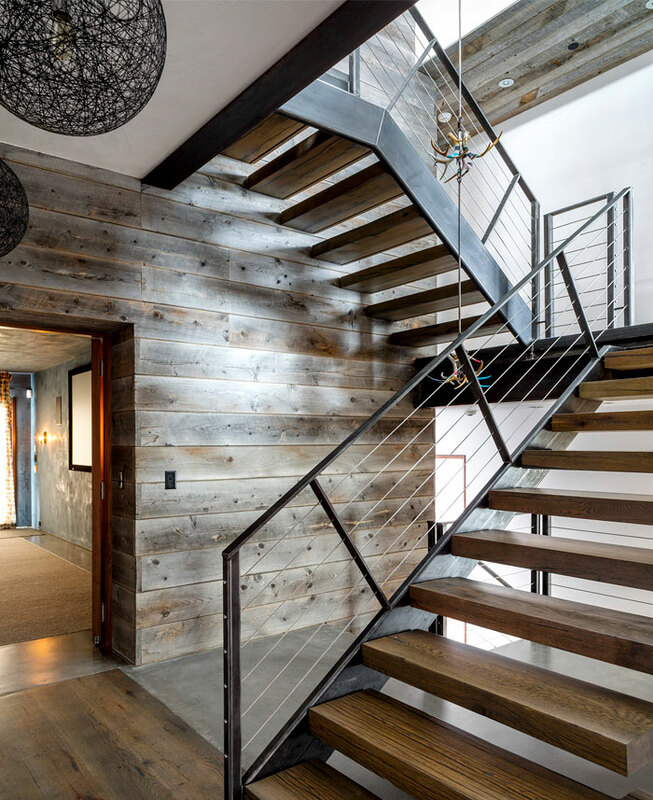 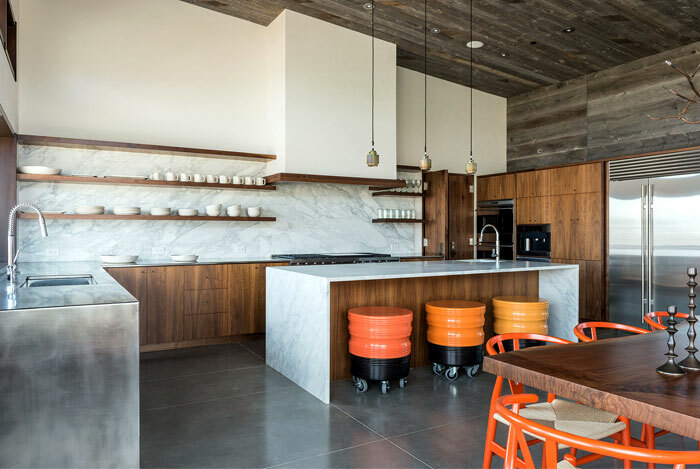 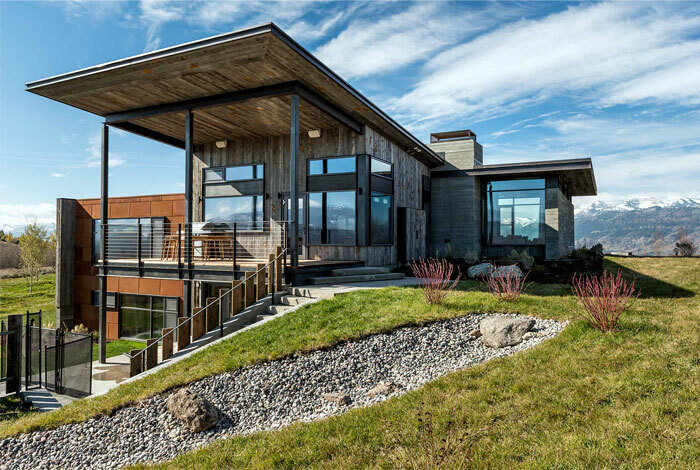 This unusual mountain house is created by Pearson Design Group and has strong rustic inspiration softened by colorful art touches and elegant contemporary input. 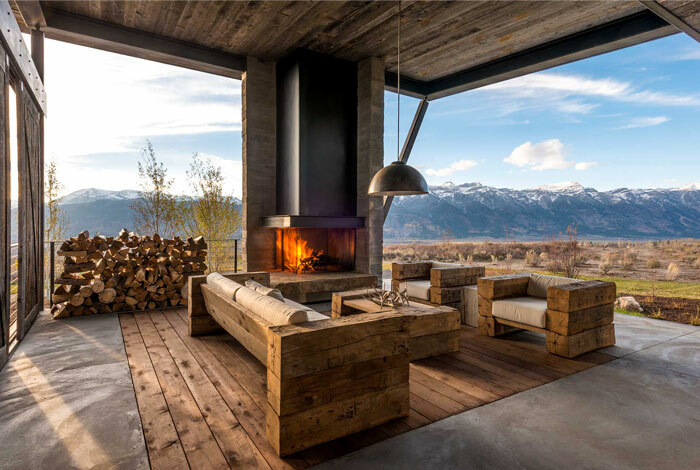 The unique living area, that in terms of capturing the full advantage of the surrounding and breathtaking view – is completely located outside, is the first thing that grabs the attention of the visitors and as the owners share – their favored room. 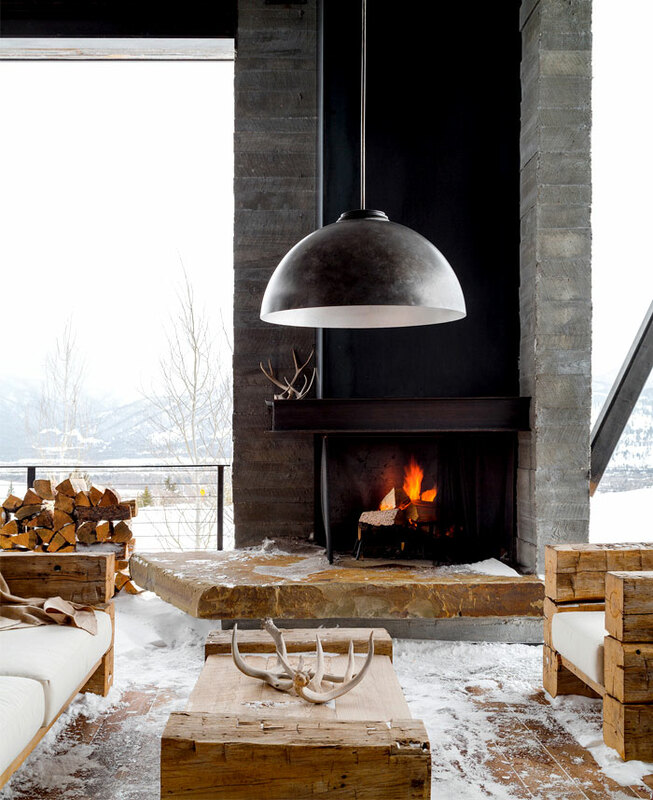 The furnishing and the design elements here are chosen so that can withstand the atmospheric conditions of the open space. 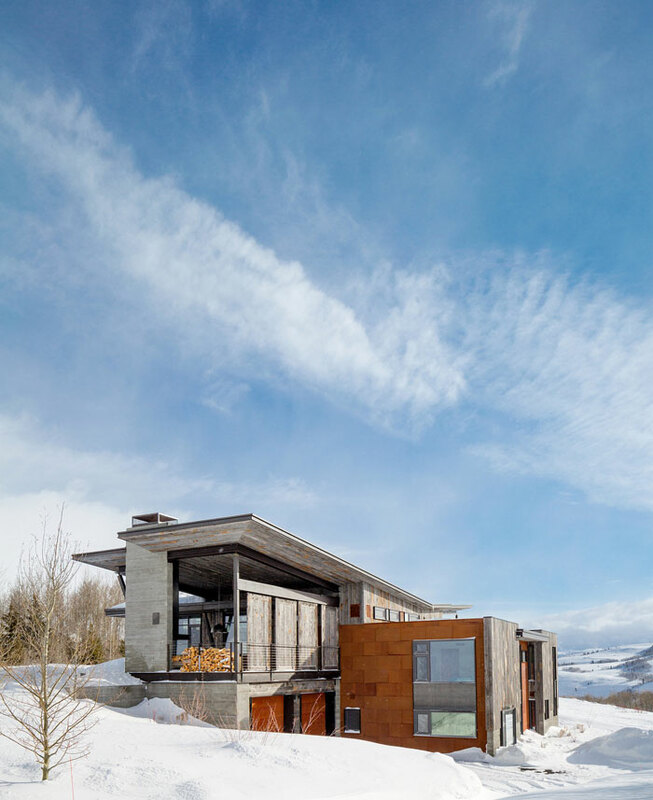 In the inner premises, the architecture and the design are still orientated towards the idea of blending and merger the interior with the mountain scenery but more elegant and artistic approach. 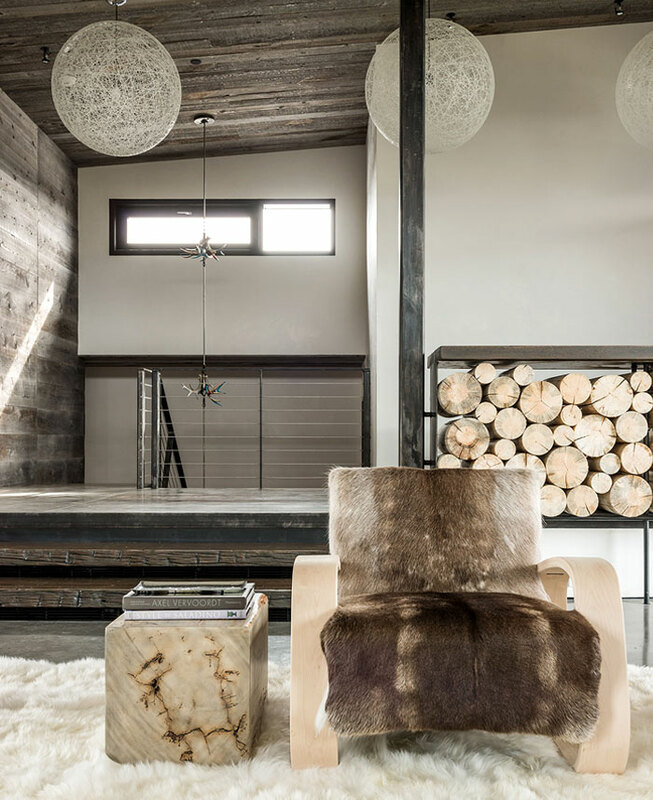 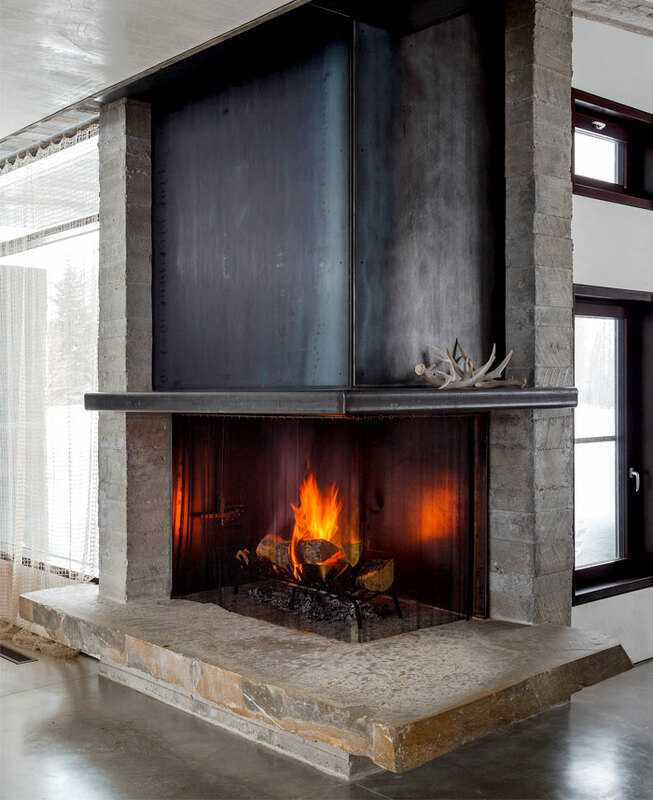 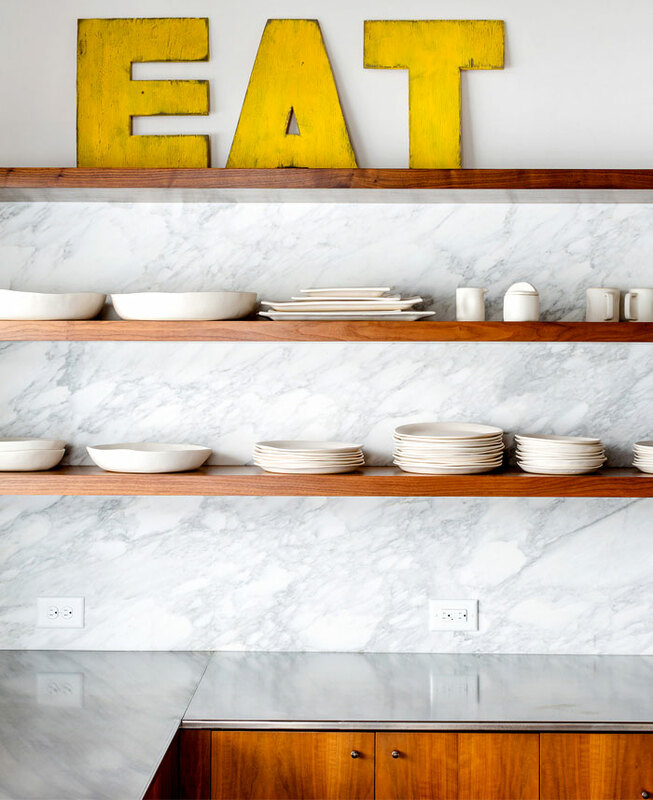 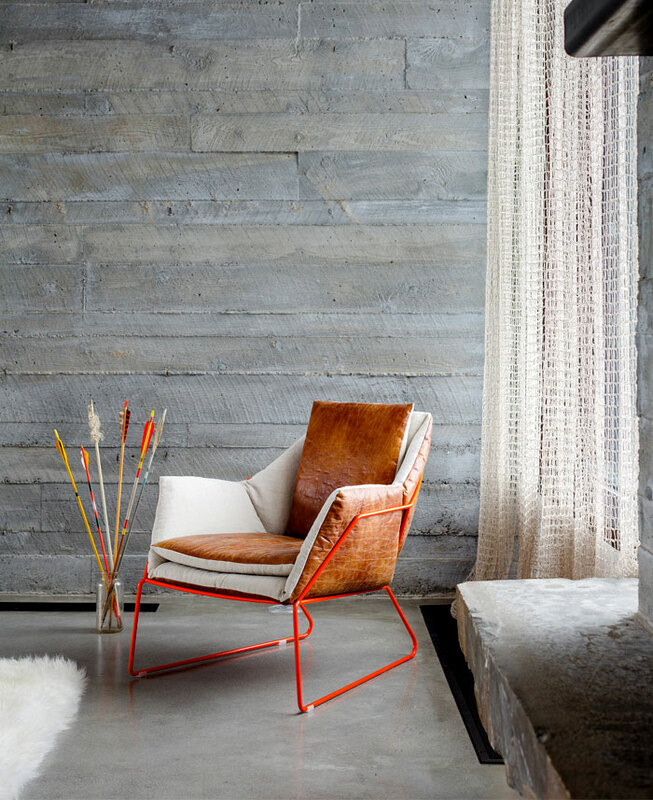 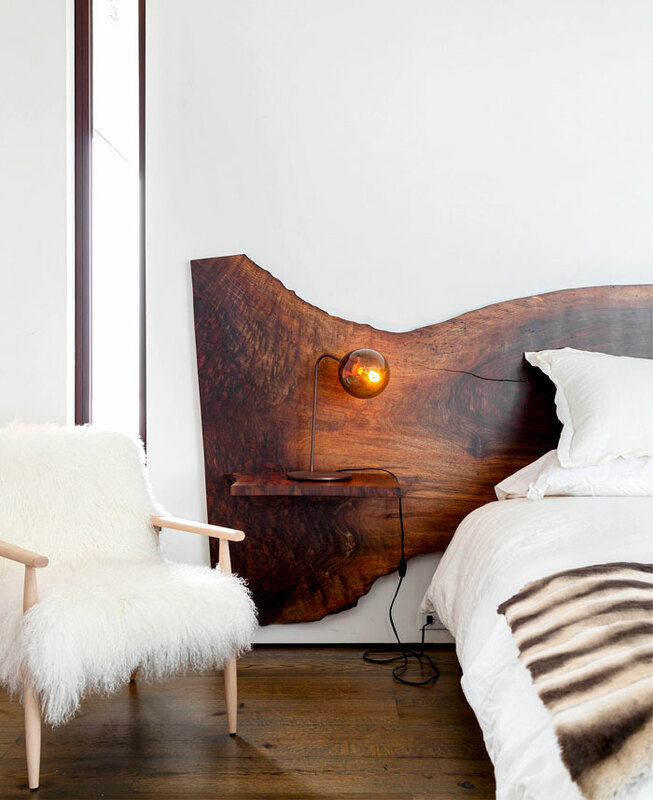 Raw wood cladding, furniture and fixtures from natural elements and untilled wood pieces, furs and stone textures in combination with polished concrete, marble and modern appliances – create a dynamic amalgam and fusion – based interior that provokes the senses. 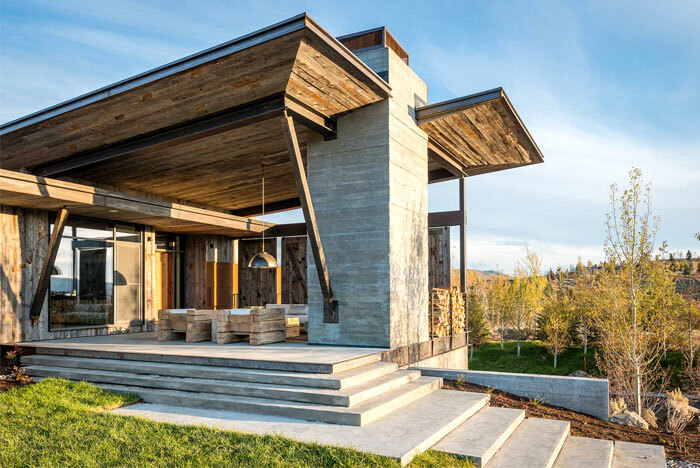 The massive structure of some of the furniture and architectural elements is juxtaposed and completed with the airy presents of crafted light solutions and decorative art elements. 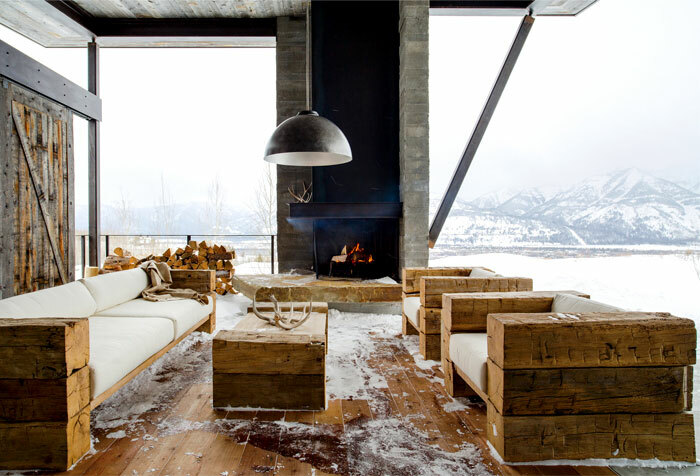 Soft tone elegance and colorful contemporary art meet old time theme in this dramatic and artistic mountain scenery and create comfortable and unique home.